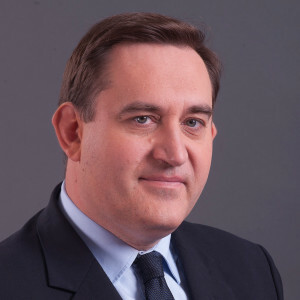 Jérôme Ladrière, Executive Vice President - Business Development & International Director of Dalkia SA, in charge of international growth and strategic partnerships. He supervises Dalkia’s international subsidiaries, including Polish business unit. Jérôme Ladrière has an extensive managerial experience and technical expertise in energy industry. He started his career as a Project Engineer in an AREVA subsidiary specialized in the manufacturing engineering: he was in charge of flow management and simulations in different activity sectors. In 1999 he joined EDF’s service unit as Business Engineer for the COGETHERM account. In 2005 he was appointed Development Director of the Central Europe Business Unit in Dalkia and was responsible for external growth projects, i.a. strategic partnership with Investment Fund Management in Poland. In 2011 he became Director of Mergers & Acquisitions in charge of Dalkia's strategic refocusing and in 2014 he was appointed Strategy, Business Development & Innovation Director and became an EXCOM member. Jérôme Ladrière holds an ICM, master degree in Science and Engineering from MINES Saint-Étienne engineering school in France.